Molly Allen lives alone in Portland, but she left her heart back in Tennessee with a man she walked away from five years ago. They had a rare sort of love she hasn’t found since. There isn't much to say about this cute Christmassy little book. 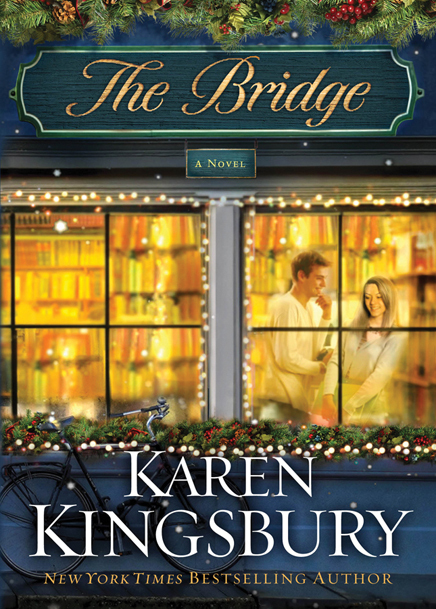 If you love books and bookstores and Christmas, then you will love this book. There is a deeper aspect to the romance mentioned at the Publisher's Description above. It is not only about a long-lost love. It is also about finding yourself and becoming the person you always wanted to become. There is a second story, the story of the owners of the bookstore, who are going through a crisis in their business which quickly turns into a crisis in their very lives. I won't way exactly what their moral dilemma is, beacuse it would be a major spoiler for the book, but it touched me deeply. Maybe this specific subject doesn't touch everyone so close to home, but for me it was just what I needed. These two stories come together with a greatly heart-warming plot, and a strong message about the true God of Christmas. this book would be the best bookish Christmas present I could receive this year. I think it just might be the best bookish present you are craving too. I haven't seen a negative review of this book yet. I so want to read it! Holly, it is excellent. You won't be disappointed.